This beautiful Victorian kitchen in Balcombe, Sussex cleverly utilises the high ceilings for maximum storage. 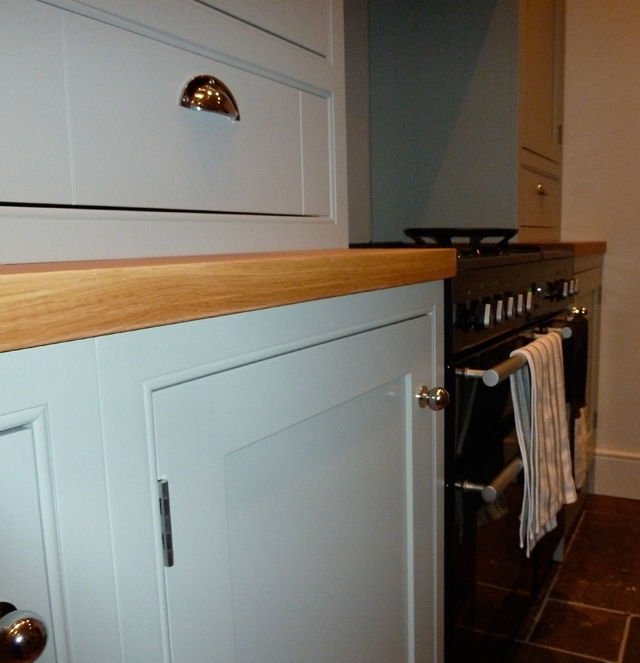 Oak worktops were used with a butlers sink to match the period property. All carcasses have rose wood fronts sprayed in this period National Trust green. All doors have a beaded frame and shaker style design. The wall units are over 1.2m high to maximise the storage and fit in perfectly with the 'turn of the century' property. 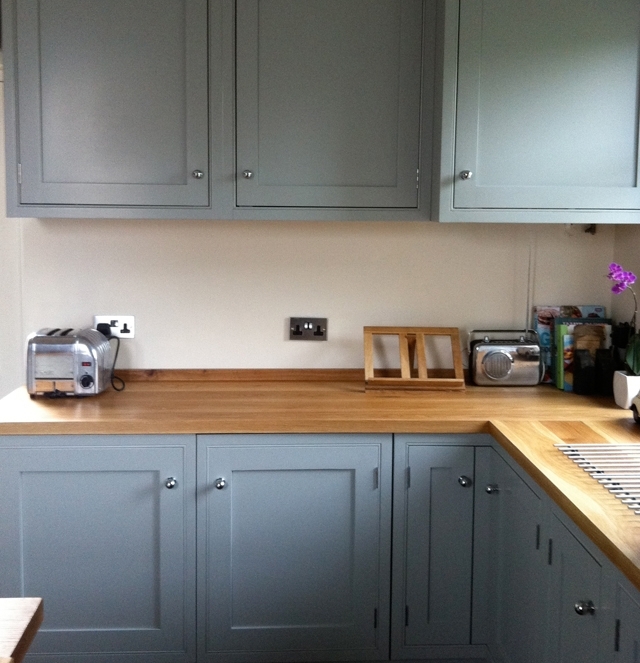 This kitchen also features a solid oak island measuring approximatelty 8ft x 4 ft which is great for baking and serving family meals.